If you’ve been enjoying the early looks at Street Fighter: Assassin’s Fist, then today is Christmas come early because all episodes are now available on Machinima! The 12-part web series tells the coming-of-age story of famous fighters Ken and Ryu, and also explores the past, present, and future of all of the other fan-favorite characters. Everything we’ve seen so far has been promising, from images, to posters, to the trailer, and the original fan film itself, so these new episodes have been a long time coming. 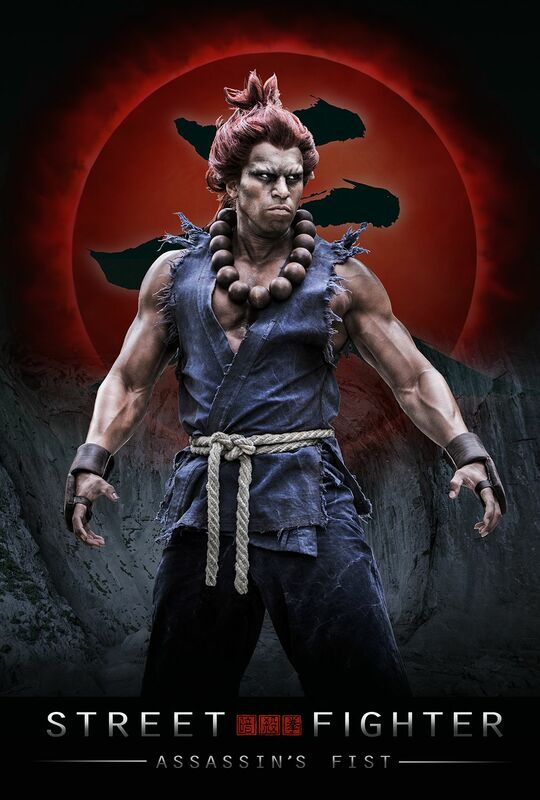 Envisioned by Joey Ansah, who also stars as Akuma, the series features Christian Howard, Togo Igawa, Akira Koieyama, Mike Moh, Gaku Space, Shogen Hyunri, Hal Yamanouchi and Mark Killeen. Who needs big studio productions when you’ve got passionate fans like these? Hit the jump to watch the Street Fighter: Assassin’s Fist episodes. Through the coming of age story of Ken & Ryu, we are shown the backstory of some of the game’s most iconic characters, and over the course of the series we will see how the past, present, and future of all of those characters are intertwined, as the battle to become Ansatsuken Master threatens to tear apart another generation of brothers. STREET FIGHTER: ASSASSIN’S FIST, which is distributed by Content Media and presented by the all-new 2015 Honda Fit, is the brainchild of Joey Ansah (The Bourne Ultimatum, Snow White and the Huntsman). Ansah, who also stars in the series (Akuma), wrote the script with Christian Howard, who reprises his role as Ken Masters from the original fan film. The series also stars Mike Moh as Ryu, Togo Igawa (47 Ronin, Memoirs of a Geisha, The Last Samurai) as Gōtetsu, Akira Koieyama as Gōken, Gaku Space as Gōki, Mark Killeen (300: Rise of an Empire, The Dark Knight Rises) as Mr. Masters, and Hal Yamanouchi (The Wolverine, The Life Aquatic with Steve Zissou) as Senzo. Series Producer is Jacqueline Quella (Romanzo Criminale, Don’t Tell). The series is produced by Assassin’s Fist Limited (a UK based company) in association with Lonely Rock Productions, Gloucester Place Films, Capcom U.S.A., Inc. and Evropa Film.